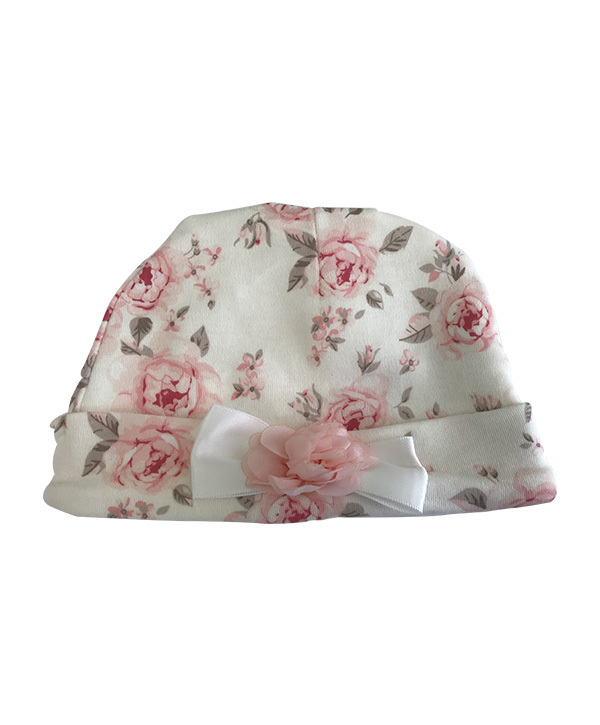 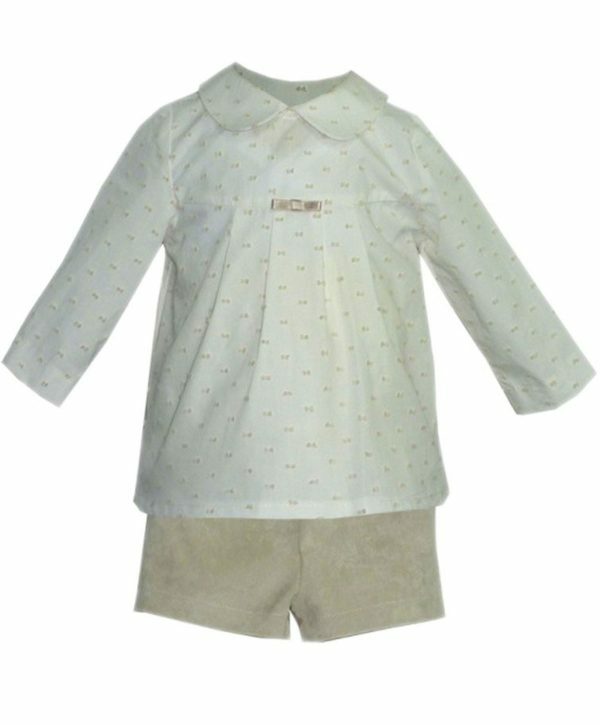 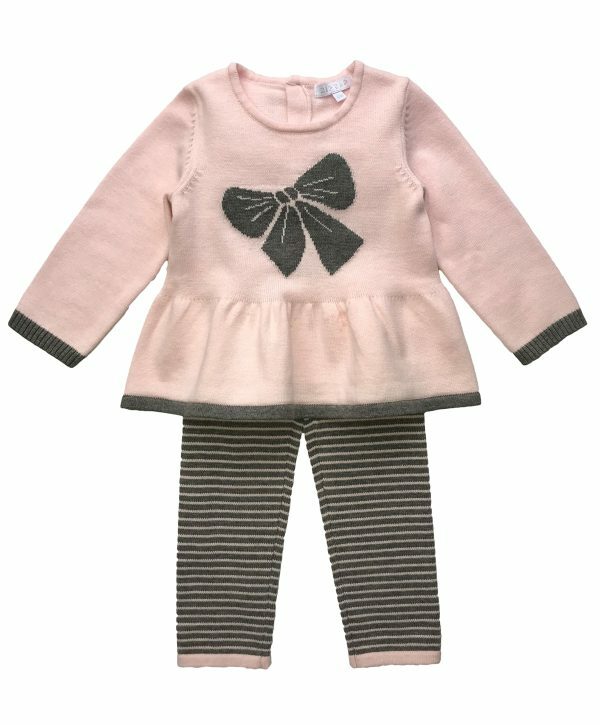 This 2-piece sleepsuit and hat set adorned with delicate pastel tones of pink and grey is gorgeous. 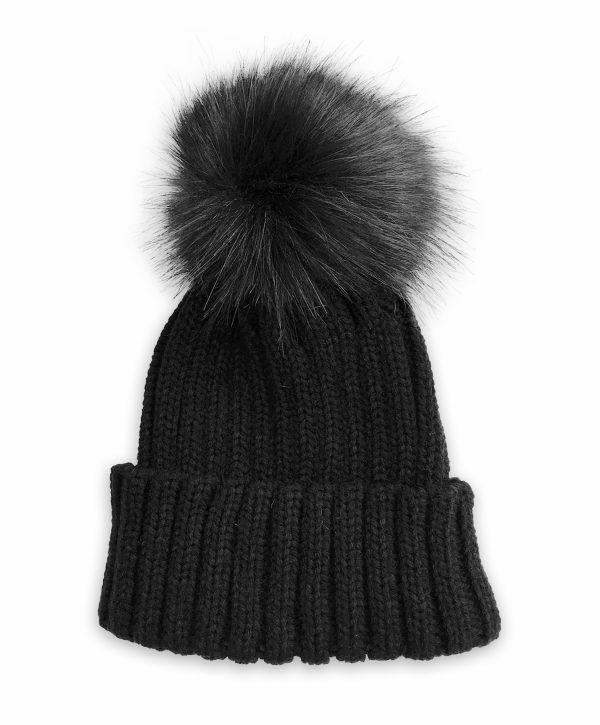 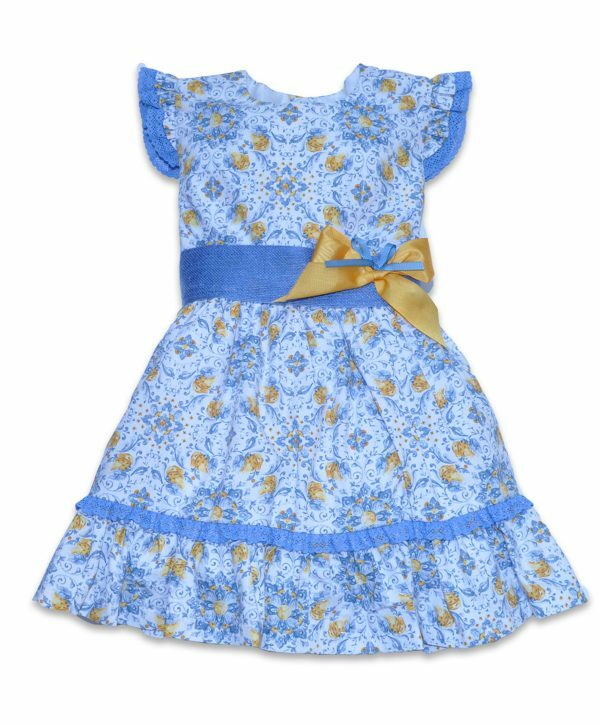 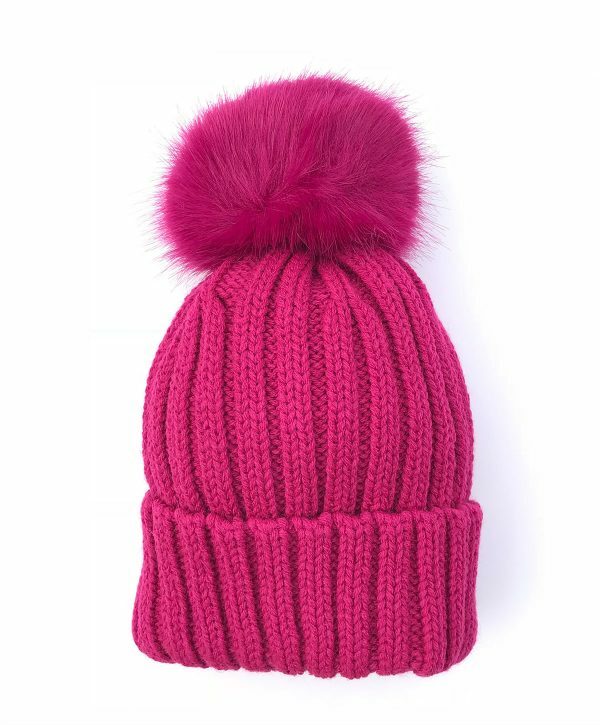 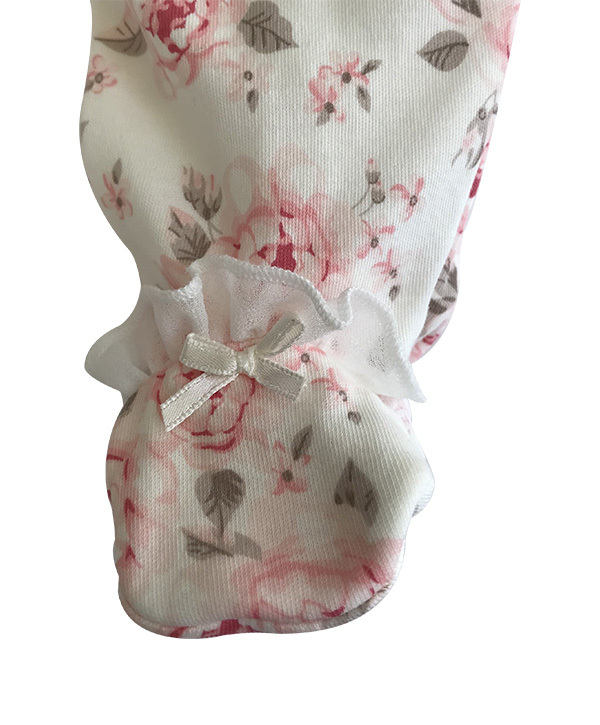 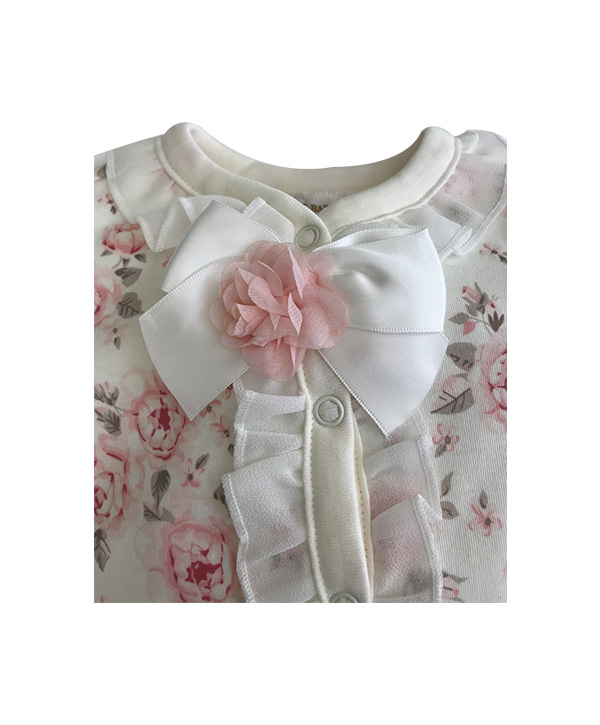 Perfect for a beautiful gift or as an adorable coming home outfit. 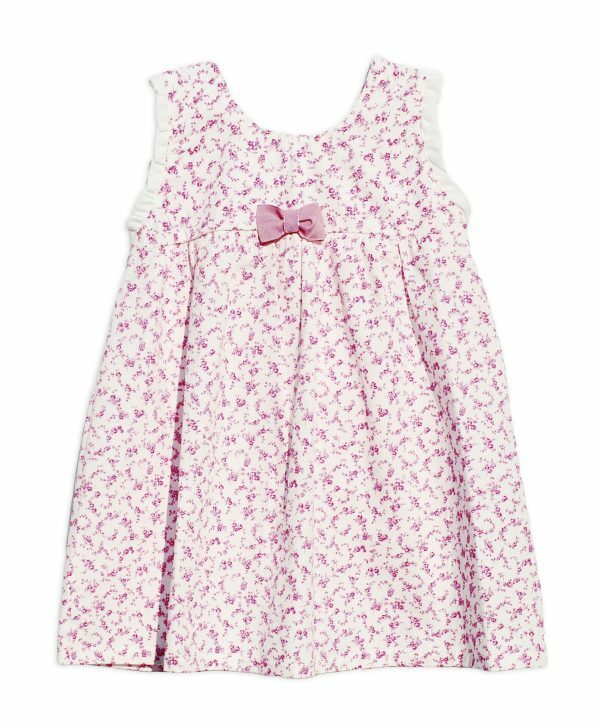 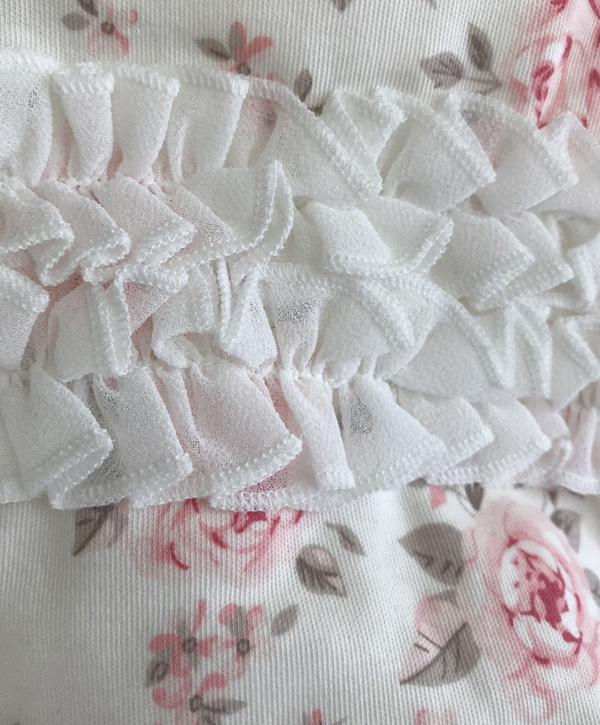 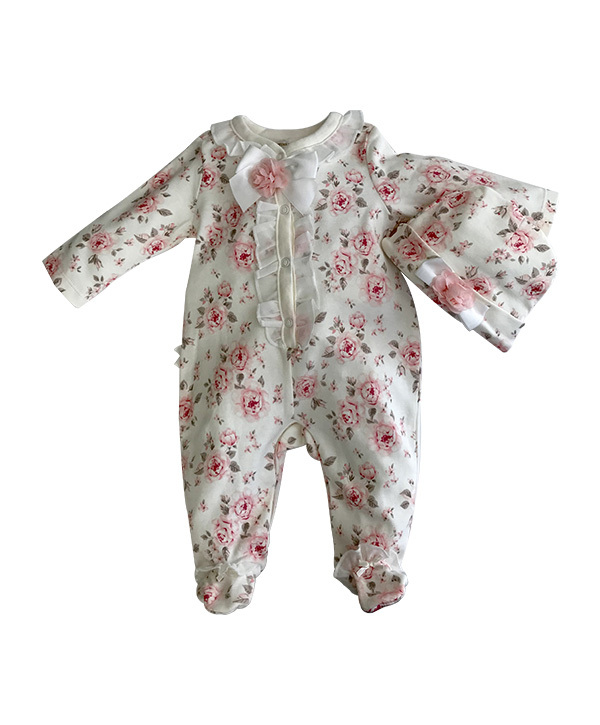 Our pretty rose print baby sleepsuit is extra cute thanks to contrasting frill trims, sweet bow and flower details. 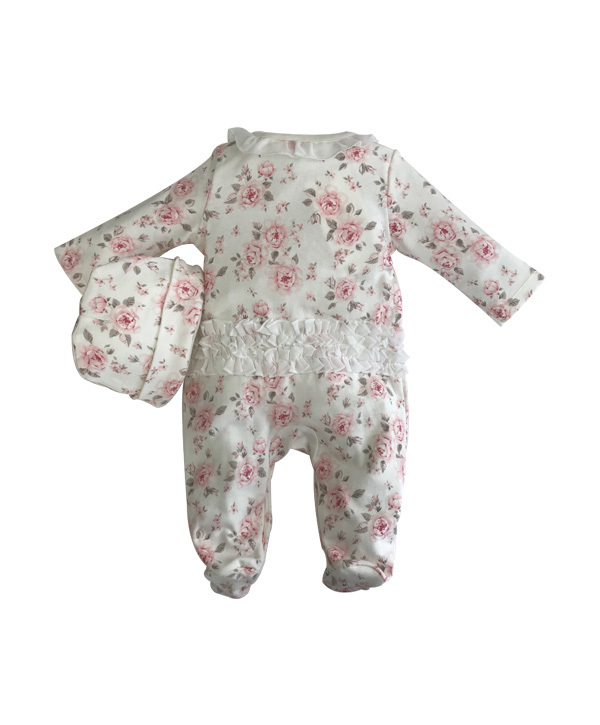 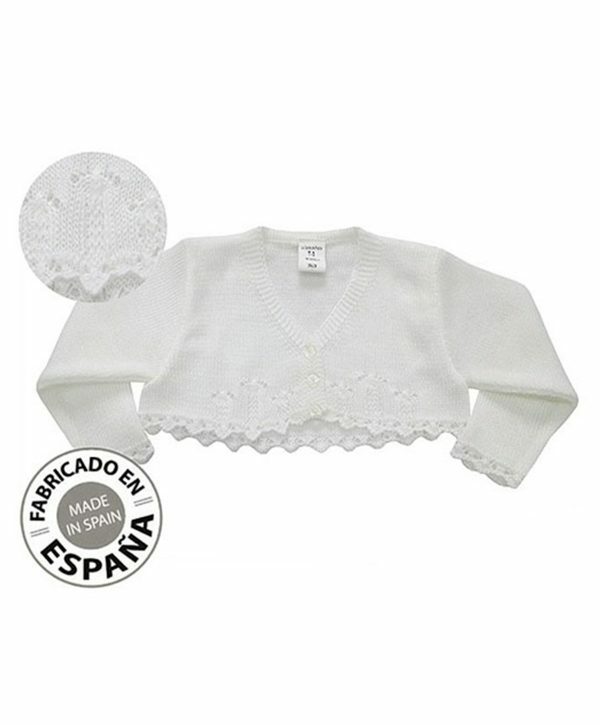 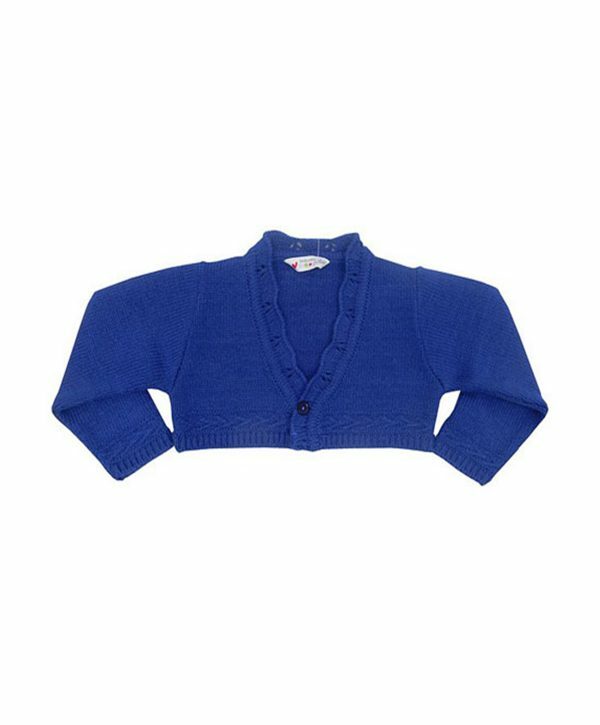 Made from the softest cotton this outfit is comfy and perfect for everyday wear.